This 7x9 glossy print came from the Las Vegas News Bureau. 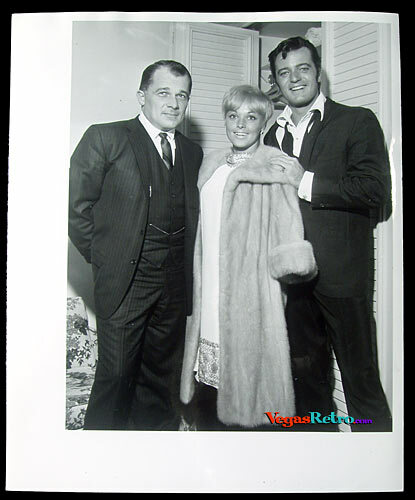 Robert Goulet and F Lee Bailey together with a woman we cannot identify. Can you? She looks very familiar, but our old brains haven't kicked in enough to say a name. If you have a clue, write us and we will put the proper caption to the photo.